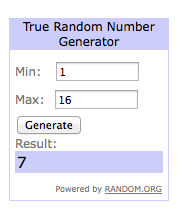 Time to announce the winner of the GIVEAWAY in collaboration with HENRYKA. One lucky girl will be a happy winner of a shopping voucher for this amazing online jewellery shop. Congratulations, dear!!! Please, send me an email on fashionmemos (at) gmail.com and I am going to send you the code for the voucher. has she clamed the prize? No she actually did not, I have still not received an email from her. I will wait a day longer and I will choose another winner. I will choose another winner today.